At a minimum, a new BMW Z4 is going to set you back 50 grand. Okay, technically the starting MSRP is $49,700, but you get the picture: That’s about double what a new Mazda MX-5 costs, and both cars offer the same view of the sky. What is the lower-buck BMW alternative? It’s time to consider the original Z4, which can now be found for less than $10,000. 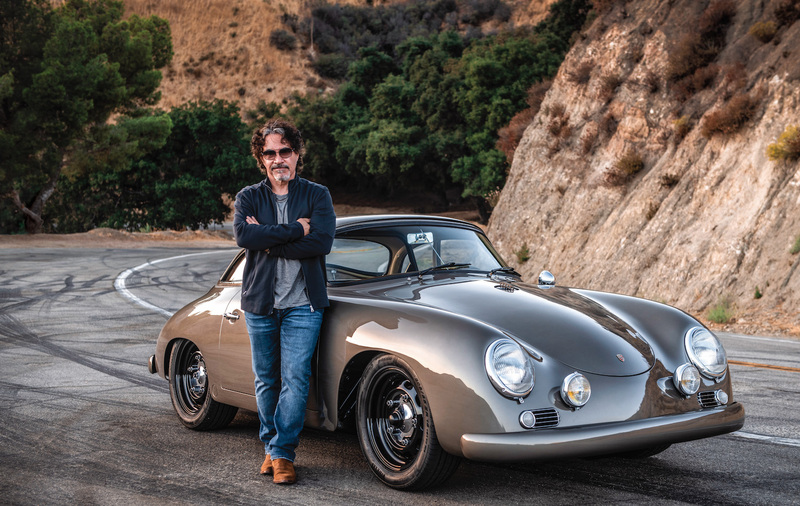 BMW produced two-seat roadsters back in the day, but for a few decades it conceded that market to other manufacturers–or offered options in such limited numbers that they weren’t really a factor. 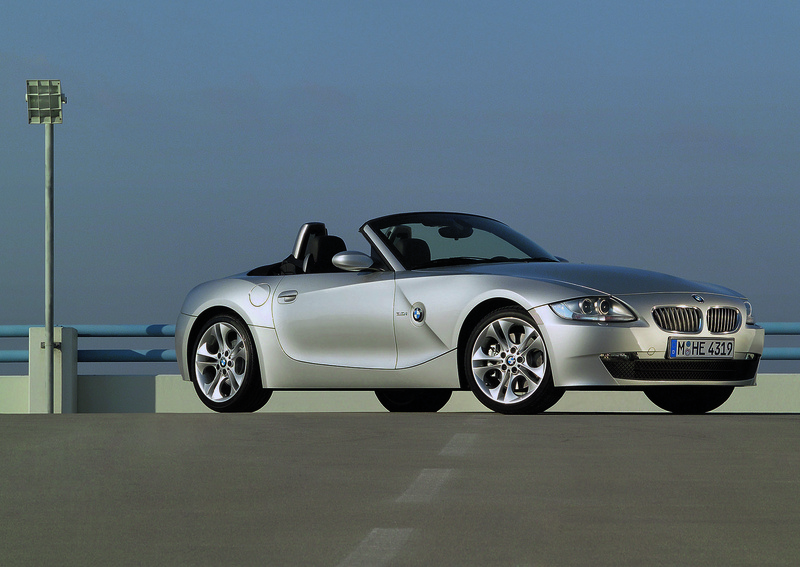 Then, in 1995, BMW gave us the Z3, a two-place convertible based on the manufacturer’s proven 3 Series platform. It was cool enough for James Bond, and high-performance variants soon followed. The Z3 only lasted for one generation, though; it left us in 2002. BMW replaced the Z3 with the Z4. It embodied the same basic idea but, as the name suggests, just a little more of it: more interior room, more comfort and more presence. The looks, to put it politely, were a bit polarizing, but some paint colors pulled off the design better than others. Plus, you could eventually get used to those Roundels on the front fender, right? Besides, the equipment under the hood helped make up for all that. The base engine was an inline-six, not one of those wimpy fours that powered so many Z3s. A 184-horsepower, 2.5-liter powerplant came standard; the 225-horsepower, 3.0-liter six was the upgrade. Either way, the Z4 came with plenty of smooth BMW oomph. The transmission, though, could be less than smooth: BMW’s then-new SMG automatic gearbox was available as an option, and the short answer is that you don’t want it. It sounds promising on paper-robotics operating the clutch and shifting the gears-but it never operated as well as promised. Our advice: Stick with the standard stick. The original Z4 lasted until the 2008 model year, with the biggest update coming in 2006: A 215-horsepower 3.0 replaced the base 2.5-liter engine. Redline BMW Performance’s Rennie Bryant has been working on BMWs for decades, and he offers some practical Z4 advice. The convertible-top motor sits in a little pocket on the left-hand side of the top mechanism. That pocket has a drain hole, but a lot of times the drain hole fills with debris, then the pocket fills with water. You have to keep the pocket clean; otherwise a new motor is a thousand bucks. When you have the motor out, you can modify the pocket for better drainage. Enginewise the Z4 is the same as an E46, so you’re going to get oil leaks at the valve cover gasket and oil filter housing gasket. At about 100,000 miles, you have to throw away all of the plastic cooling system and replace it. The SMG transmission is troublesome and expensive. An SMG car is going to be cheaper to buy, but may be costlier in the long run. The Z4 has a lower-control-arm bushing issue. You can replace them with new, stock bushings; aftermarket ones are available, too. Even the least powerful one is still a stout, 2.5-liter-powered car. Even though the manual says “lifetime,” you want to service the automatics every 80,000 miles. Worth remembering the M version of the Z4 as well, although they continue to get a significantly higher price, particularly the coupe version. The Z4M engine puts out 338 bhp @7900 rpm and red lines at 8,000. Superlative sonics and they came with regular power steering instead of the electric power steering of the non-M cars, which saps feel from the cars. Good article - I like BMW's. I'd like to see what you can do with the same topic, different car. The $10,000 (or less!) Boxster S.
Glad that you guys liked the piece. They're fun to put together. Yeah, we looked at the M but, like you said, prices are healthy. Believe me, we wish they cost less. I know a certain art director who'd like one. We did a Boxster Tech Tips piece over at GRM. See if this helps answer some immediate questions. But, yes, you should buy one. Of the 41 cars I've owned, my 2006 Z4 3.0i was my wife's favorite.